This study was carried out between February and November 2007 in order to determine the present situation of phytoplankton and environmental factors in Lake Kaftar. Sampling was conducted seasonally in 5 different stations. Three phytoplankton and three water samples (for physicochemical analyses) were taken in each station. Phytoplankton samples were taken using 30 μm mesh plankton net and, after fixing in 4% formaldehyde, identified and counted using Nicon E200 microscope with Normarski interference optics. Water temperature, pH, dissolved oxygen, nitrate, phosphate, EC, hardness and salinity were measured by using thermometer, electrometrically performance, Winklers method, ultraviolet spectrophotometric screening method, vanadomolybdophosphoric acid colorimetric method, conductivity meter and titration methods, respectively. Highest densities of phytoplankton were recorded in Autumn and highest rates of Shannon (H` = 2.392) and Simpson (λ = 0.27) indices were seen in Spring in station 5 and 4, respectively. Totally, 18 genera belong to 10 different families and 5 classes of phytoplankton were identified in this study. Highest density of phytoplankton belongs to Chlorophyceae (38.46%), Cyanophyceae (23.08%), Zygnemophyceae (15.38%), Bacillariophyceae (15.38%) and Fragilariophyceae (7.69%), respectively. 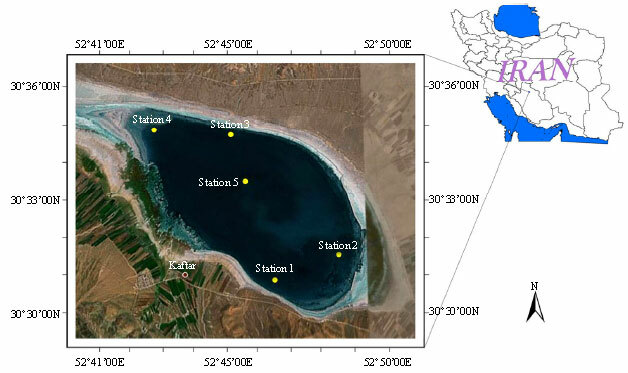 According to the results of this study, the most important environmental factors affecting diversity and density of phytoplankton in Kaftar Lake were nutrient (especially nitrate) and water temperature. Although, usually Spring phytoplankton bloom is higher than the Autumn bloom, in Kaftar Lake highest densities of phytoplankton were recorded in Autumn. S. Nowrouzi and H. Valavi, 2011. Effects of Environmental Factors on Phytoplankton Abundance and Diversity in Kaftar Lake. Journal of Fisheries and Aquatic Science, 6: 130-140. Several studies have discussed the effects of environmental factors on phytoplankton dynamics (Boney, 1989; De Huszar and Caraco, 1998; Kagalou et al., 1999; Hassan et al., 2004; Susanne et al., 2005). The influence of various factors on the seasonal appearance of phytoplankton differs significantly, with physical factors (such as temperature and light intensity) being the most important and chemical (DO, pH, salinity, total hardness, EC and nutrient level) being of lesser importance (Reynolds, 1984). Moreover, because our knowledge is limited, the behavior of algal population can sometimes be unpredictable (Mur, 1997; Pongswat et al., 2000). Millie et al. (2009) characterize phytoplankton composition/abundance and the environmental conditions influencing communities during late-Summer, a period when bloom proliferation typically is greatest throughout the basin-western Lake Erie. Increasing of freshwater biodiversity due to the increase in nutrient concentration had been discussed in different studies (Leibold, 1999; Dodson et al., 2000; Dudgeon et al., 2006). This fact was already pointed out in studies conducted in Iranian inland waters (Shadkam, 2005; Farahani et al., 2006); however, long-term studies on biodiversity changes due to eutrophication are still unavailable for these waters. Furthermore, clearly study of shallow lakes concerning the behavior of abiotic and biotic factors is of particular importance, this kind of knowledge may be a useful arrangement and restoration tool. As Salm et al. (2009) believe, understanding phytoplankton community structure provides insight into the overall ecology of lakes and will assist in the future conservation and management of these valuable and climatically-sensitive systems. According to Adirondack Ecologists (2010) abundance and species composition of algae can have significant implications with regard to both the water clarity and quality of any given body of water. The other hand, Lathrop et al. (1998) argued the publics perception of water quality in lakes is often associated with the frequency of algal blooms and prediction of these extreme events is inherently probabilistic. Since, data on the phytoplankton and the physicochemical features of Kaftar Lake are lacking completely. This study was carried out in order to determine some physical-chemical features of water as well as the phytoplankton distribution and diversity of in this Lake. Seasonal fluctuations in density and composition of five classes of phytoplankton (Chlorophyceae, Cyanophyceae, Bacillariophyceae, Zygnemophyceae and Fragilariophyceae) identified in the Kaftar Lake in relation to the environmental factors are described in the present study. Study area: Lake Kaftar is a shallow water (maximum depth 5 m), high elevated (2320 m above M.S.L) lake located between 30°30′ and 31°36′N and 52°41′and 52°51′E in south Iran (Fig. 1). The catchment area of the lake is up to 5000 ha. It receives substantial inputs of underground water, while there is one naturally occurring surface outflow, Raana River. The lake is an important ecosystem in the region supporting local agriculture, tourism and fisheries. During the past thirty years, the ecosystem of Kaftar sustained many activities such as irrigation, sediment deposits and input of agricultural and domestic sewages causing serious problems in its trophic state. Methods: Sampling was carried out seasonally, in five stations (Fig. 1). In each station three water samples were taken for physicochemical analysis and three samples were taken for phytoplankton studies. Water temperature and pH were measured by using a mercury-filled Celsius thermometer and electrometrically performance (by means of glass electrodes), respectively. Dissolved oxygen was measured using Winklers method, Ultraviolet Spectrophotometric Screening method was used for determine nitrate and Vanadomolybdophosphoric Acid Colorimetric method for measurement of phosphate. EC was measured using conductivity meter Horiba model BF-14 (calibrated by KCI solutions), hardness using EDTA titration method and salinity using Knudsen's titration method (Moopam, 1989; APHA, WEF and AWWA, 1992). Phytoplankton samples were fixed in 4% formaldehyde immediately after collection and identified and counted using Nicon E200 microscope with Normarski interference optics (Farahani et al., 2006). Margalef species richness index (R1), Shannon diversity index (H') and Simpson index (ë) were used to describe temporal changes in diversity and dominance in this investigation. One way Analysis of Variance (ANOVA) was used to determine the significant difference in phytoplankton abundance, diversity indices and environmental factors, between different stations and seasons. Environmental parameters: Results of physicochemical parameters recorded in different stations and seasons (Table 1) show that water temperature varied from 5.5°C in station 1 in Autumn to 25.0°C in station 4 in Summer. Dissolved oxygen was between 0.32 mg L-1 in station 5 in Spring and 5.40 mg L-1 in station 5 in Autumn. Lowest pH (7.47) was recorded in station 5 in Spring, whereas, the highest was 9.46 in station 4 in Summer. Lowest (5.6 μg L-1) and highest (32.93 μg L-1) nitrate concentrations were found in station 1 in Winter and station 1 in Autumn, respectively. Lowest (0.1 μg L-1) and highest (0.5 μg L-1) phosphate concentrations were recorded in all of stations except station 4 (0.13 μg L-1) in Winter and in station 2 in Autumn, respectively. EC varied from 500 μmhous cm-1, in station 4 in Winter to 1200 μmhous cm-1 in station 2 in Spring, also lowest salinity (0.13 ppt) was recorded in station 4 in Winter and highest salinity (0.83 ppt) was recorded in station 2 in Spring. One Way Analysis Of Variance (ANOVA) shows no significant difference between stations, except for nitrate in station 4 (entrance of Raana river to the lake) which is significantly different from the other stations. Furthermore, significant differences were seen between water temperature, D.O and pH in warm season (Spring/Summer) and cold season (Autumn/Winter), furthermore, EC in Winter and nitrate in Autumn are significantly different from other seasons. Differences in phosphate concentration among the stations were not statistically significant. Phytoplankton composition and abundance: A total of 18 phytoplankton genera were identified in the study area. These genera belonged to 4 divisions, which include 9 genera of Chlorophyceae, 3 genera of Cyanophyceae, 2 genera of Bacillariophyceae, 3 genera of Zygnemophyceae and 1 genera of Fragilariophyceae (Table 2). Chlorophyceae was dominant in terms of the number of genera and abundance in Spring, Summer and Autumn (mean contribution = 38.46%). Cyanophyceae was the second dominant class (mean contribution = 23.08%), fallowed by Bacillariophyceae, Zygnemophyceae and Fragilariophyceae, respectively (Fig. 2). Highest abundance of Chlorophyceae (5466 individual/liter) was recorded in Autumn, while their lowest abundance (400 individual L-1) was recorded in Winter (Table 3). Ankistrodesmus, Navicula, Synedra and Cosmarium were the most dominant genera in all stations at all seasons and the lowest recorded phytoplankton abundance belonged to Bacillariophyceae (Table 3). Highest abundance of phytoplankton was recorded in stations 2, 3, 4 and 5 in Autumn and in station 1 in Spring (Fig. 3). One way Analysis of Variance (ANOVA) shows no significant difference (p<0.01) in phytoplankton abundance, between stations, but Phytoplankton abundance in Autumn was significantly different from other seasons. Indices: Simpson's index (with maximum in Spring) was increased by increasing dominance of Chlorophyceae (Table 4), lowest value of Simpson's index was found in station 5 in Spring (0.107) and its highest value was in station 4 in the same season (0.270). Highest species richness in the lake was seen in stations 5 and 1 in Spring (2 and 1.93, respectively) while its lowest value was seen in station 4 in Winter (0.97). Freshwater ecosystems have been experiencing declines in biodiversity far greater than terrestrial ecosystems. If trends in human demands for water remain unaltered, species losses will surely continue at current rates. Furthermore, conservation and management of fresh water ecosystems is critical to the interests of the entire mankind, as long as biodiversity constitutes a valuable natural resource in economical, cultural, aesthetic, scientific and educational terms (Dudgeon et al., 2006). Since the seasonal variations of phytoplankton are related to a variety of environmental factors in aquatic environments (Washington, 1984; Boney, 1989; Wu and Chou, 1999) the approach adopted in the present investigation, namely to relate temporal changes in diversity to temporal changes in environmental conditions, resulted in the development of a better understanding of the nature of interactions between the phytoplankton community and its environment in the Kaftar Lake. In natural water pH value ranges from between 4 to 9. Swamp waters have lower and inland water passing through limestone deposits have higher pH values (Waterwatch Australia Steering Committee, 2002). In fresh water lakes pH range is from 6 to 9 and most of them are bicarbonate-type lakes (Wetzel, 1983). However, Kaftar Lake with 7.47 to 9.46 pH value can be categorized as a bicarbonate-type lake. Furthermore, physicochemical characteristics of the Kaftar Lake (Table 1) show that according to the standards for drinking water (WHO, 1993) and irrigating water (FAO, 1994) it is unsuitable for drinking, but it is suitable for irrigation. The effects of water temperature on phytoplankton have been examined in many freshwater ecosystems and it was found that water temperature strongly regulates the seasonal variation of phytoplankton (Richardson et al., 2000; Izaguirre et al., 2001; Susanne et al., 2005; Farahani et al., 2006) also light conditions could control phytoplankton growth (Golterman, 1975; Wetzel, 1983). According to Kagalou et al. (2001) chlorophytes increase under high temperatures, also Richardson et al. (2000) showed that temperature is a major driving force for the seasonal succession of species in Lake Baikal. Water temperature in Lake Kaftar affects abundance and diversity of phytoplankton, since it was found that density and diversity of Chlorophyceae were increased by the increase in water temperature in Spring and Summer and sharply failed in Winter, while density of Zygnemophyceae, Fragilariophyceae and Bacillariophyceae were increased by decreasing of water temperature in Winter (Fig. 4). On the other hand, despite declining water temperature in Autumn, high diversity of Chlorophyceae was occurred because of increasing water nutrient (Fig. 5). Kagalou et al. (1999) reported that the annual cycle of diatoms has been characterized by quite stable trends with two major peaks: one in early Spring and the second in Autumn. Hassan et al. (2004) concluded that the maximum density of phytoplankton was occurred during late Spring and after decreasing gradually in Summer season, there was a further increase during Autumn season. In this investigation, a peak of phytoplankton abundance even more than Spring peak (dominated by Chlorophyceae-frequency 52.48%) was recorded in Kaftar Lake and due to a sharp increase in discharge of rich nutrient (especially nitrate) agricultural sewages (Fig. 6), despite declining water temperature in Autumn (Fig. 7). According to Khuantrairong and Traichaiyaporn (2008) Low nutrient concentration in Doi Tao Lake in Winter causes Chlorophyta decline and their replacement by Cyanophytes which were dominated in Winter. In the present study, beside considerable decrease in nutrient, abundance of Cyanophyceae in Winter (672 indv. L-1) was much more than Autumn (354 indv. L-1). Also highest density of Cyanophytes, were recorded in Summer when water temperature was above 23°C) and these results agree with Khuantrairong and Traichaiyaporn (2008) and other studies such as Hassan et al. (2004) and Salm et al. (2009). Finally, it is concluded that, increase of water temperature and nutrient in Spring are both essential factors, which cause increasing of phytoplankton abundance and diversity. In Summer, despite increasing water temperature, nutrient consumption by phytoplankton and also grazing by zooplankton causes decrease in phytoplankton abundance and diversity; On the other hand, considerable increasing of nutrient in Autumn (plankton decomposition in late Summer and entrance of sewages) despite decreasing water temperature causes a sharp increase in phytoplankton abundance and diversity. Following this stage, phytoplankton diversity and density were decreased pursuant to nutrient reduction and low temperature in Winter. We are grateful for the staffs of the Department of the Environment in Kaftar Lake area for their helps in providing facilities for sample collection and to the Khoramshahr University of Marine Science and Technology for providing laboratory analysis facilities. APHA, AWWA and WEF., 1992. Standard Method for the Examination of Water Waste. 18th Edn., APHA, AWWA and WEF., Washington DC., USA., ISBN: 0-87553-207-1. Adirondack Ecologists, L.L.C., 2010. 2009 Schroon Lake Phytoplankton Monitoring Project. Schroon Lake Assciantion, New York, USA. Boney, A.D., 1989. Phytoplankton. 2nd Edn., Edward Arnolds Publication, London, ISBN: 964-92492-2-2. De Huszar, M.V.L. and N.F. Caraco, 1998. The relationship between phytoplankton composition and physical-chemical variables: A comparison of taxonomic and morphological-functional descriptors in six temperate lakes. Freshwater Biol., 40: 679-696. Dodson, S.I., S.E. Arnott and K.L. Nottingham, 2000. The relationship in lake community between primary productivity and species richness. Ecology, 81: 2662-2679. Dudgeon, D., A.H. Arthington, M.O. Gessner, Z.I. Kawabata and D.J. Knowler et al., 2006. Freshwater biodiversity: Importance, threats, status and conservation challenges. Biol. Rev., 81: 163-182. FAO, 1994. Water Quality for Agriculture. Food and Agriculture Organization, Rome, Italy, ISBN: 92-5-102263-1. Farahani, F., H. Korehi, S. Mollakarami, S. Skandari, S.G.G. Zaferani and Z.M.C. Shashm, 2006. Phytoplankton diversity and nutrients at the Jajerood River in Iran. Pak. J. Biol. Sci., 9: 1787-1790. Golterman, H.L., 1975. Physiological Limnology: An Approach to the Physiology of Lake Ecosystems. Elsevier Scientific Publication, Amsterdam, ISBN: 0-444-41270-0. Hassan, F.M., F.N. Kathim and H.F. Hussein, 2004. Effect of chemical and physical properties of river water in shatt al-hilla on phytoplankton communities. E-J. Chem., 5: 323-330. Izaguirre, I., I. O'Farrell and G. Tell, 2001. Variation in phytoplankton composition and limnological features in a water-water ecotone of Lower Parana Basin (Argentina). Freshwater Biol., 46: 63-74. Kagalou, I., G. Tsimaraki and A. Patsias, 1999. Phytoplankton dynamics and physical-chemical features of a shallow lake (Lake Pamvotis, Greece). Fresenius Environ. Bull., 10: 845-849. Kagalou, I., G. Tsimaraki and A. Patsias, 2001. Water chemistry and biology in a shallow lake (lake pamvotis-greece). Present state and perspectives. Global Nest: Int. J., 3: 85-94. Khuantrairong, T. and S. Traichaiyaporn, 2008. Diversity and seasonal succession of the phytoplankton community in Doi Tao Lake, Chiang Mai Province, Northern Thailand. Nat. History J. Chulalongkorn Univ., 8: 143-156. Lathrop, R.C., S.R. Carpenter, C.A. Stow, P.A. Soranno and J.C. Panuska, 1998. Phosphorus loading reductions needed to control blue-green algal blooms in Lake Mendota. Can. J. Fish. Aquat. 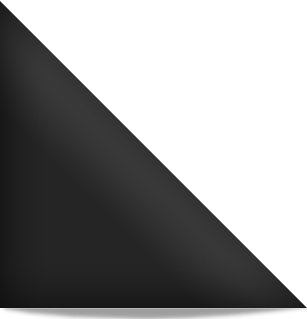 Sci., 55: 1169-1178. Leibold, M.A., 1999. Biodiversity and nutrient enrichment in pond plankton communities. Evol. Ecol. Res., 1: 73-95. Millie, D.F., G.L. Fahnenstiel, J.D. Bressie, R.J. Pigg and R.R. Rediske et al., 2009. Late-summer phytoplankton in western Lake Erie (Laurentian Great Lakes): Bloom distributions, toxicity and environmental influences. Aquat. Ecol., 43: 915-934. Moopam, 1989. Manual of Oceanographic Observations and Pollutant Analyses Methods. 2nd Edn., Regional Organization for the Protection of the Marine Environment, Kuwait. Mur, L.R., 1997. Growth Kinetics of some Cyanobacteria. Wageningen Press, The Netherlands. Pongswat, S., S. Thammathaworn, Y. Peerapornpisal, N. Thanee and C. Somsiri, 2000. Diversity of phytoplankton in the Rama IX Lake, A Man-Made Lake, Pathumthani Province, Thailand. Sci. Asia, 30: 261-267. Reynolds, C.S., 1984. Phytoplankton periodicity: The interactions of form, function and environmental variablility. Freshwater Biol., 14: 111-142. Richardson, T.L., C.E. Gibson and S.I. Heaney, 2000. Temperature, growth and seasonal succession of Phytoplankton in Lake Baikal, Siberia. Freshwater Biol., 44: 431-440. Salm, C.R., J.E. Saros, C.S. Martin and J.M. Erickson, 2009. Patterns of seasonal phytoplankton distribution in prairie saline lakes of the northern great plains (USA). Saline Syst., 5: 1-13. Shadkam, S., 2005. Recognition of herbaceous periphytons of jajrood river and studying of environmental factors effects on their varieties. 6th Iranian Congress of Marine Science and Technology. http://medicica.com/EnPaper-ICMST06-ICMST06_200.html. Susanne, F., K. Galina, I. Lyubov and N. Andreas, 2005. Regional, vertical and seasonal distribution of phytoplankton and photosynthetic pigments in Lake Baikal. J. Plankton Res., 27: 793-810.
WHO, 1993. Drinking water standards. http://www.lenntech.com/applications/drinking/standards/who-s-drinking-water-standards.htm. Washington, H.G., 1984. Diversity, biotic and similarity indices: A review with special relevance to aquatic ecosystems. Water Res., 18: 653-694. Waterwatch Australia Steering Committee, 2002. Waterwatch Australia National Technical Manual, Module 4-Physical and Chemical Parameters. Commonwealth of Australia, Australia, ISBN: 0-6425-4856-0. Wu, J.T. and J.W. Chou, 1999. Dinoflagellate associations in feitsu ireservoir, Taiwan. Botanical Bull. Acad. Sinica, 39: 137-145.